Have you ever had an informational interview? Or possibly you had an informational interview without knowing its official name. Informational interviews are not something new and they continue to be a valued career resource and networking tool. Keep reading to learn more about the informational interview and how it can help advance your career. An informational interview is a meeting with someone in your profession or working in an industry or company that interests you. It is a way to get information from that person about their position and experiences, as well as advice on potential career paths. It can be a great tool for those who are thinking about a career transition and would like to gain more information about the industry first-hand or who want to advance their current career. 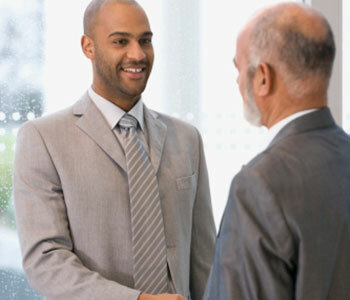 Informational interviews are also an effective way to expand your network specific to that profession or company. You can set up an informational interview by reaching out to those in your current network or by targeting a specific profession or company. Use LinkedIn to search for shared connections or fellow alumni specific to that industry. You can even try the cold call approach and search a company’s website. Keep in mind that you may have a better chance at a smaller company with someone in a mid-level position. Once you have that contact, reach out via email or phone call to request an informational interview. Be specific with your career interests and how that person can help you – let them know any time they can give is appreciated. What is the best way to conduct an informational interview? Prior to the informational interview, you will need to do some preparation. First, determine your goals and what you hope to gain from the meeting. Is it for career advice, industry information, or a potential mentor? Next, research the industry or company as well as the person you’re meeting with so that you are well informed. Use the company’s website, LinkedIn, or a Google search for information. Finally, write up a series of questions to ask during the informational interview and be prepared to talk about your background and career interests as well. Bring your resume and dress professionally to create a strong first impression. Make sure that you thank the person for their time and follow-up with a thank you note. Add the person to your network and follow up periodically with them to stay connected. The informational interview can help advance your career by providing valuable insider information and expanding your professional network. Contact your AthLife Advisor with any questions about informational interviews.